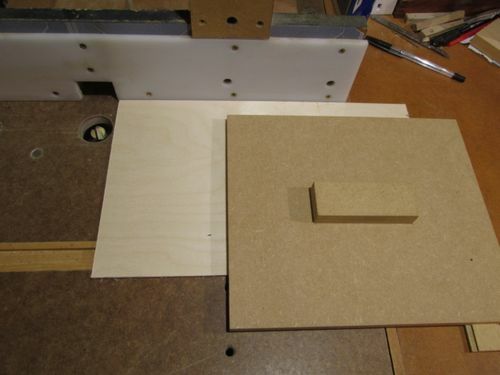 I thought it might be a good idea to post the board holder that I use for safe and sure router easy mitring. 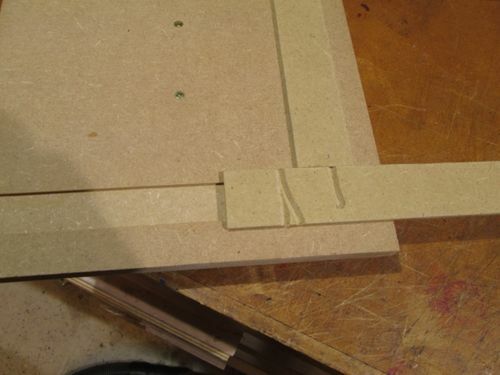 This holder keeps your hands clear of the cutting operation (which should satisfy the safety minded amongst us) and applies uniform pressure to the cut over the width of the board. 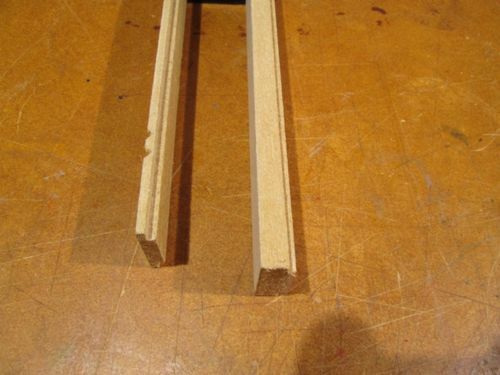 The fences slide into the main board running in a dovetailed 3 mm routed groove in the main board. 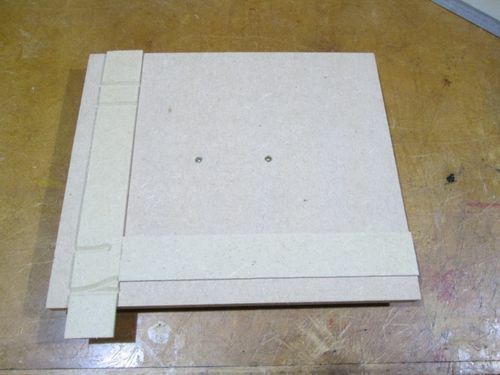 The rear fence is fixed (glued in, as it’s not sacrificial) and the side fence can slide, making it re-useable in terms of stopping breakout from the pattern board being routed. The eagle eyed amongst you will see this one has already been used a few times. The fences are both 35 mm wide x 6 mm deep, overall. As you can see from it’s use, both ends of the side fence are useable. Indeed the first time I tried it the side fence was pulled toward the router fence by the action of the bit as it went through as you can see by the slightly curved ‘V’ slots in the fence to the right hand side of the picture. This is why I added the screw on the top right, to fix the side fence position whilst the holder is being used. When you want to move it you just slacken off the screw, slide the fence and re-tighten the screw. 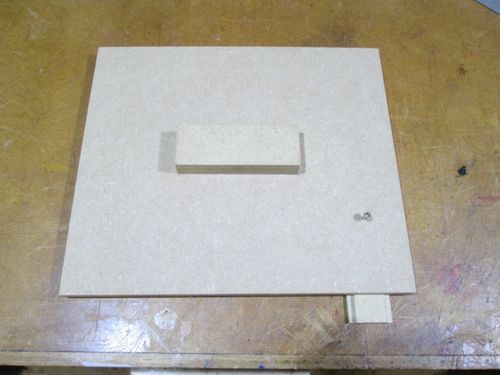 As for the size of the main board I made it the width of the smallest pattern board I would route + 55 mm wide by the same – 20 mm deep ( I like to see the pattern board edge run against the router fence in order to head off any potential problems during the cut). 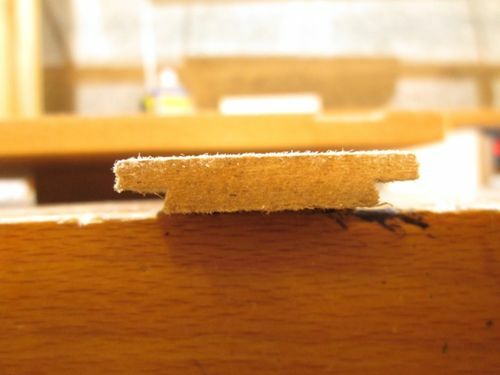 You may want to route boards thicker than 3mm. 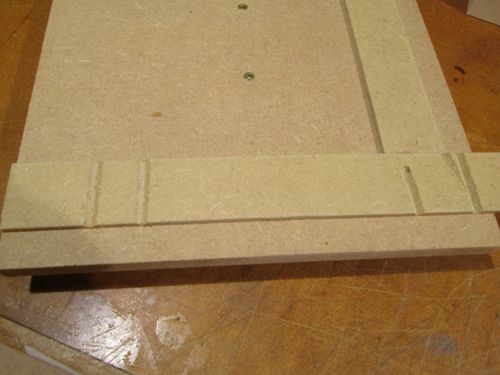 To this end I made up some 12 mm fence boards at the same time as I made up the 6 mm ones. 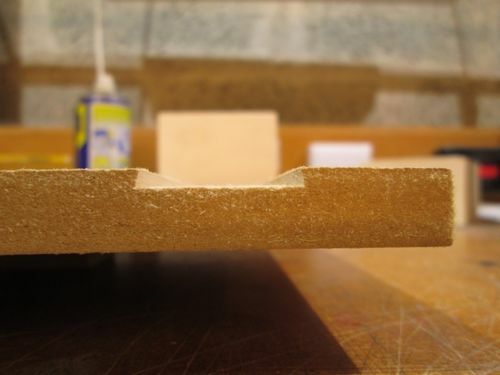 The idea here is that you saw the 12 mm thick material down to the required thickness to cover the depth of the board being routed. More good information Martyn. Thanks for sharing.